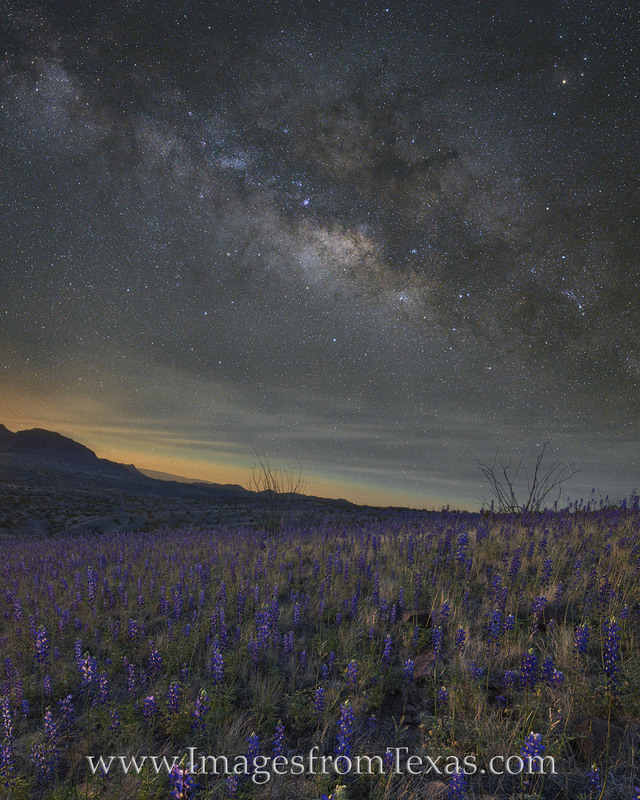 This image of the Milky Way over Big Bend National Park and a stretch of bluebonnets is a composite of two images. The first was taken with a star tracker in order to obtain a long exposure with clear, crisp stars. The second image was taken of the foreground and distant mountains about 30 minutes before sunrise as the first hint of orange appeared on the horizon. This allows the final photograph to show what the eyes can see but the camera cannot capture in one frame. It was a beautiful sight on that cool March evening. Bluebonnets as far as the eye could see and the Milky Way shimmering overhead. Soon, the sun would be peeking over the distant Chisos Mountains and the valleys would be alive with a spring desert superbloom.